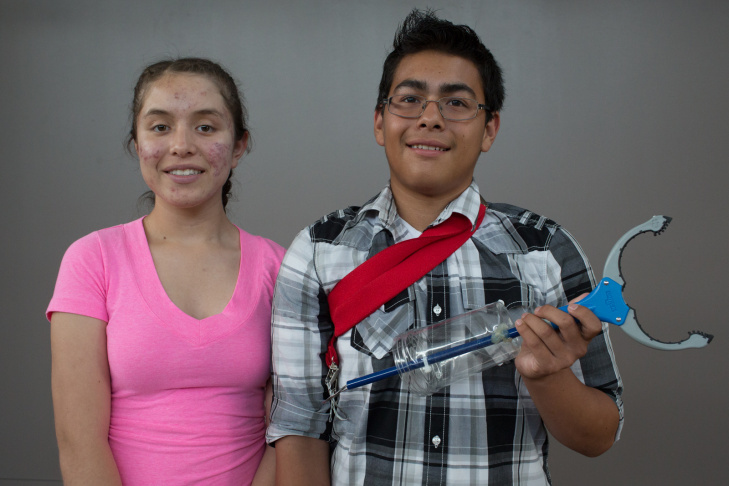 Jacqueline Sanchez and Julio Romero from Watts won a national engineering contest by designing a prosthetic arm. Four middle school students from Watts' Markham Middle school recently won a national engineering design competition —for building a low-cost prosthetic arm. 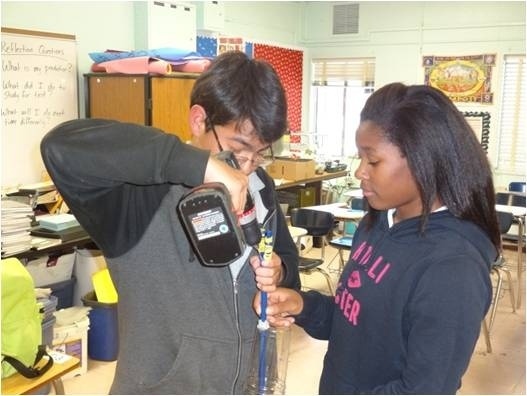 The magnet students are part of the MESA program, which stands for Mathematics Engineering Science Achievement. Two of the winners, Jacqueline Sanchez and Julio Romero, spoke with KPCC, along with their teacher Philip Gerlach, about how they came up with the idea, and about their victory. The rules of the competition required the students to build the prosthetic arm for less than 40 bucks. In the end, the students ended up spending $13.36 on supplies. “We bought two hand grabbers. We bought a cup and suspenders,” said Romero. The students built four prototypes before they got the arm to work. Once they got the basics figured out, the arm was ready to compete. “The arm had to be able to pick up objects and put them into a crate and we had to be able to throw balls into buckets," said Romero. Getting to the national completion was a challenge for the students. Particularly at the state level, where they had to compete against California schools with fancier, more advanced prosthetic arms. 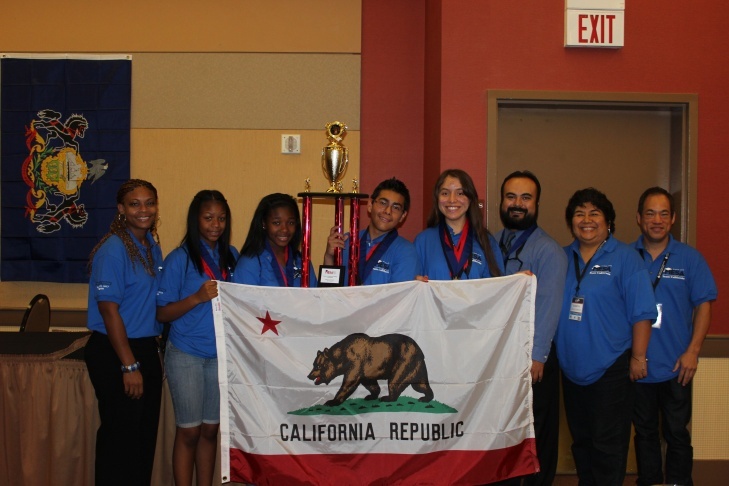 “[The state competition] was very difficult especially because there was one team from Fresno. Theirs could pick up objects, too,” said Sanchez. The Fresno team had a wooden prosthetic arm. 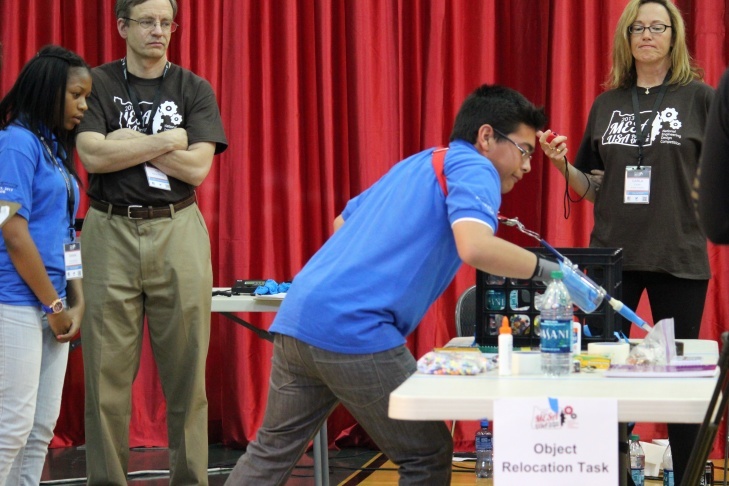 In the end, it was no match for Markham Middle School’s lightweight plastic design. “I thought it was a dream," recalled Sanchez about the moment the team won. “I didn’t feel anything. 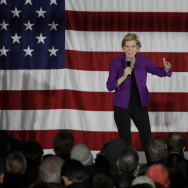 But then when I got home, I was yelling, screaming, ‘We did it! We did it! 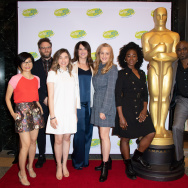 We did it!'" The competition doesn't offer cash to its winners, but they did come home with a trophy. And of course, their teacher is extremely proud of them, too.